Frank Lampard has claimed VAR should not be used at this summer’s World Cup because football has “not got it nailed down yet”. 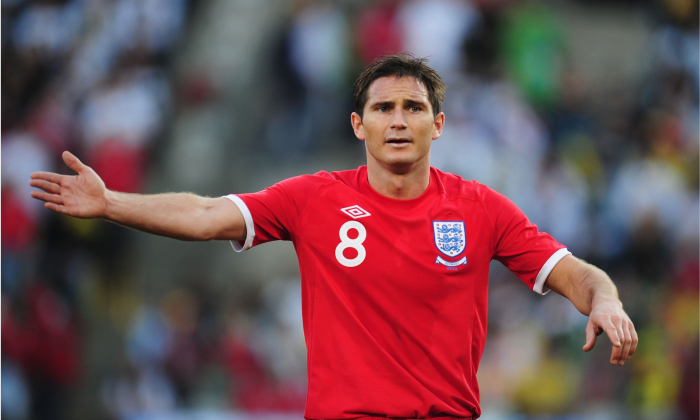 Lampard, who had a goal disallowed in England’s last-16 defeat to Germany in 2010, believes the new system is not fit for purpose at present. The former England midfielder and newly-appointed Derby boss said: “Goalline technology was a no brainer with that goal of mine. “But VAR is going to be a huge discussion point. It’s too early. We’ve not got it nailed down yet. “Different refs in different countries are having problems. We are not using it in the Premier League. “I just think we’re going to cause ourselves problems in the most important football tournament in the world. “I didn’t see it needing to be rushed. Replays will also be shown on giant screens inside stadiums while VAR decisions are being made and Lampard insists: “I don’t know if replays will help. “There is only one man who is making the decision. “What happens if the fans think he is wrong? I honestly don’t know and that’s the problem I have with it. When asked about the Three Lions chances in Russia, Lampard said they should be looking to make it to the quarter-finals at least. He added: “I think we are better than that, I don’t agree with writing it off. “There’s a nice balance struck and it helps bringing in exuberant younger players who don’t have the fears that come when you are older. “Attacking-wise, we can hurt any team in the world.